Enjoy the great amenities and unique accommodations this comfortable central Wisconsin hotel has to offer The Best Western Stanton Inn, located at the intersection of Highways 151 and 32 in Chilton, Wisconsin, provides guests with easy access to local attractions, businesses and educational facilities. The Kaytee Avian Educational Center, Nature Parks and racing venues are all a short drive away. Hotel amenities include an indoor heated pool, spa, business center and meeting facilities. The banquet room can accommodate up to 30 people and is perfect for intimate personal or business gatherings. Preferential treatment extends to the guest rooms which come equipped with free high-speed Internet access, cable TV with HBO, iron and ironing board, hairdryer and a coffee/tea maker. The Best Western Stanton Inn provides dependable and affordable accommodation for guests attending local seasonal festivals. Hiking, biking and golfing are all within a reasonable distance. 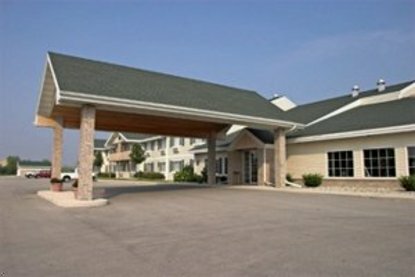 Take advantage of corporate rates and group prices and make an online reservation today at this Chilton, Wisconsin hotel.